Your Milton sump pump is a highly effective device that works all day, every day it is needed to ward off the wet weather elements. There are times when it is easy to take such a valuable device for granted because it is usually hidden from sight in a pit in your basement and works tirelessly without supervision. Yet, even these workhorse machines need to be maintained from time to time to make sure they are functioning at their best when they need to be depended on to keep out the water from your home. Water damage and flooding that happens when your sump pump is not working optimally. Don't risk it. 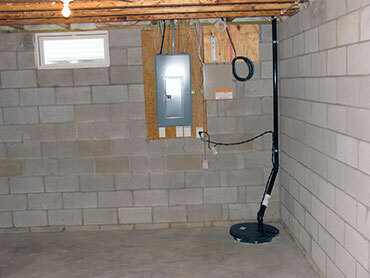 Your should provide a yearly or more maintenance service of your Milton sump pump. Once per year may be enough but should there be more rain, a higher water table, or excessive drainage to deal with then make it twice or more. Flooding and water damage cause several thousand dollars to repair while many of the belongings in your home will not be recoverable. Yet, if you ensure that your sump pump Milton is in good working order then you will have nothing to worry about. You can call our friendly local plumbers anytime of day or night for professional repair, maintenance, or installation service with a smile. Any Milton sump pump works when several parts all function correctly and when any one of them is not functioning you risk the worst case scenario. The main parts of your device include an impeller, check valve, pump, float arm, float switch, basin, and discharge line. As the water collects in the basin it will rise until it reaches a certain point that is predetermined when it triggers or activates the pump to turn on. At which point the pump begins to expel the extra water by pushing it our of the discharge line into a dry well or a sewer drain. A one-way valve prevents the water from coming back into your home. As mentioned, your Milton sump pump needs to be maintained just like a vehicle or any mechanical device does. When you call our local plumber for help we will check that all of the parts are working successfully and repair or replace them if necessary. We will also clean the pump because if there are any obstructions it makes it work harder than it should an overheat. We will also ensure the check valve and discharge are free of gravel, sand, or dirt so that there is no risk of the unit draining slowly or overflowing. Rest assured, your sump pump will be in top shape 24/7. Sump pumps are heroic in their way in that they need no supervision and work automatically to defend our homes of unwanted and damaging moisture and water. 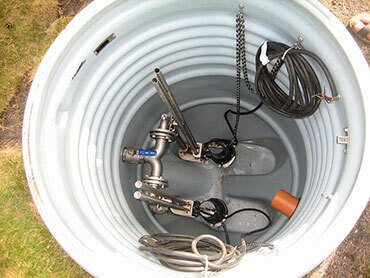 If you need a new Milton sump pump installed you can depend on us for this as well. We will ensure that the pump is not defective in any way and that it is the right size. We will ensure that all of the parts work well and that it is not installed in gravel or dirt. That the vents and air holes are clean and whether you have the correct diameter discharge pipe or need a grated discharge line. You do well to trust our friendly neighborhood plumbers with all types of sump pump service. Call us today!